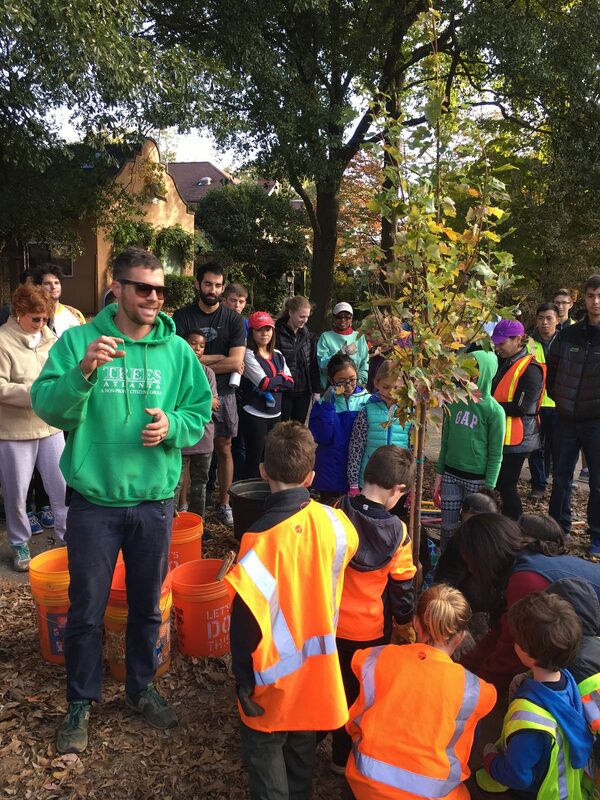 November 12th was a fun day of tree planting in Virginia-Highland! 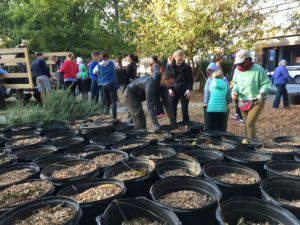 There were many helping hands from Virginia-Highland, local schools and organizations. Due to the lack of rain, it took all the volunteers working very hard to dig through the hard soil to plant. 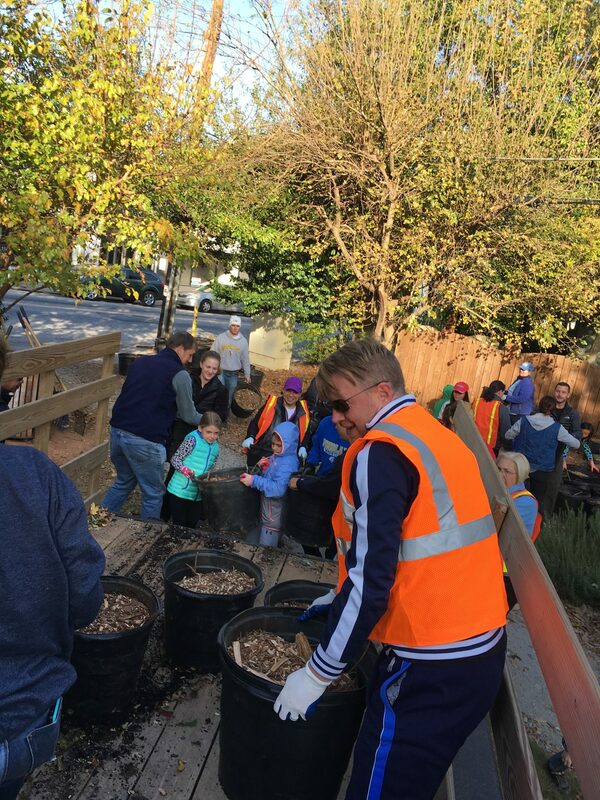 We planted Kousa Dogwoods, American Fringe Trees, Trident Maples, Carolina Silverbells and other species provided by Trees Atlanta and funded by the tree recompense fund of the City of Atlanta. You can view the planting list here. Protecting and adding to the overall tree canopy in Atlanta are critical to improving our environment and promoting healthy lifestyles. 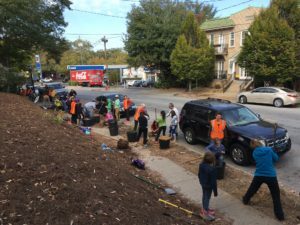 Virginia-Highland is known for its beautiful tree-lined streets and these Trees Atlanta plantings, and those we all do privately, are increasingly important as we continue to lose old growth trees from development pressures and environmental impacts. Due to the drought we ask that you please help by watering the trees in the planting strips near your homes. Even under our watering restrictions new plantings may be watered for 30 days after they are planted. Use a couple of buckets for each tree, once a week. Pour the water slowly around the tree, so it gets a chance to saturate the soil and not run off. If it rains, don’t worry about watering. 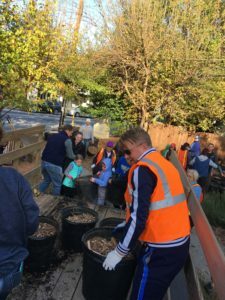 Special thanks to all the volunteers, VHCA, Alex Beasley of Trees Atlanta, and Stephanie Coffin for a successful planting! 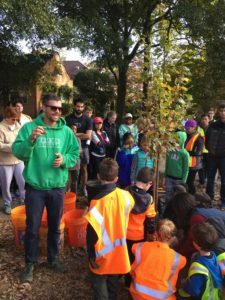 This entry was posted in news and tagged 2016, treeplanting, treesatlanta by John Becker. Bookmark the permalink.